I’ve never been one to really get worked up about things like baby showers. To be honest I find it a bit embarrassing being the centre of attention and don’t like my friends to feel the expectation that they need to shower me with presents. Especially with this being my second baby, I had no plans whatsoever to do anything! However, my lovely, lovely friend Lucy took it upon herself to organise an afternoon tea for my with a couple of other friends. She filled in hubby, but of course he decided not to tell me until less than a week before; at which point I had a slight (okay, maybe it wasn’t that slight!) pregnancy meltdown about having nothing nice to wear. This is the problem when you get to 37 weeks pregnant; it seems even maternity clothes that have served you well for the past six months or so, no longer fit! 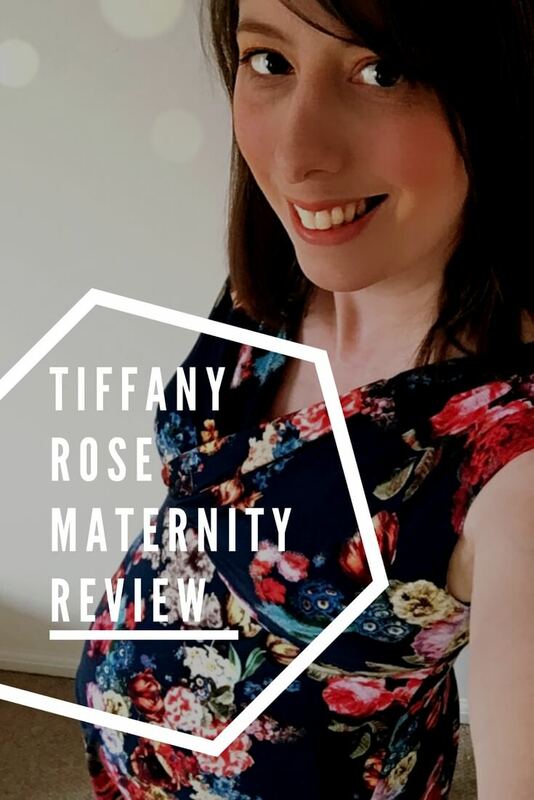 Fortunately, though, Tiffany Rose Maternity came to my rescue and sent me a beautiful dress to wear! I’m so grateful to them as I felt like a million dollars wafting around in the gorgeous Alessandra dress, when I would otherwise have been in literally the only other outfit that I can squeeze myself into – an ancient pair of black maternity jeans that I’ve had since my pregnancy with M and my regulation-pregnant-lady stripy top! 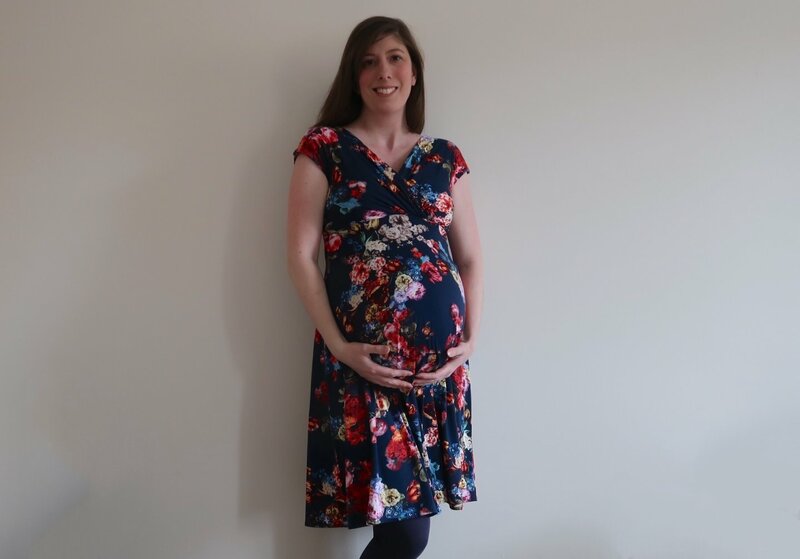 The Alessandra dress is perfect because it has a lovely floaty skirt, which skims over even the largest end-of-pregnancy bump, while having a lovely v-neck detail, which is mirrored at the back. The stretchy material coupled with the crossover v-neck style means that it’s also suitable for nursing, which means that I can continue to get use out of it after baby arrives. In fact, we have a wedding to go to later in the year that I think this dress will be ideal for! The afternoon tea was perfect, too. 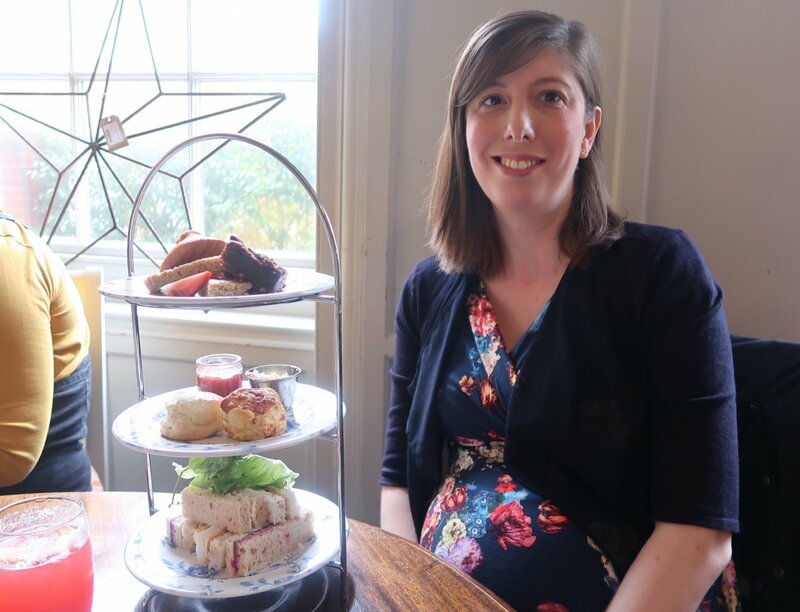 We went to the Dial House in Reepham and I think it was actually the best gluten free afternoon tea I’ve had! Often gluten free scones are really dry and tasteless, but these were delicious. The selection of cakes were great too. I couldn’t finish them all, though, so brought a doggy bag home to hubby! It was so nice to be able to spend a few hours just being me, and spending some time with my friends before this baby comes along! Disclosure: Tiffany Rose Maternity sent me the Alessandra dress free of charge. However, all opinions are my own – it’s a lovely dress and I really enjoyed wearing it! "Pondering Playtime // Spot’s First Easter and Easter Biscuit Decorating"
Thank you, I felt great in it and had a lovely time!